By Radu Iosif on 08/26/16 • Leave a comment! I don’t have a single thing that I’d need a CNC router for, but after seeing what the Shaper Origins can do, I wish I did. It’s a handheld CNC machine, which in itself is amazing since these devices are usually pretty huge and static. The way it works it also pretty impressive: you create your design, then simply follow the lines through the onboard display. The Shaper Origins automatically corrects for your hand errors and even retracts the bit if you go too far off course. This way you can achieve 1/100 inch accuracy, creating intricate designs out of a slew of materials. 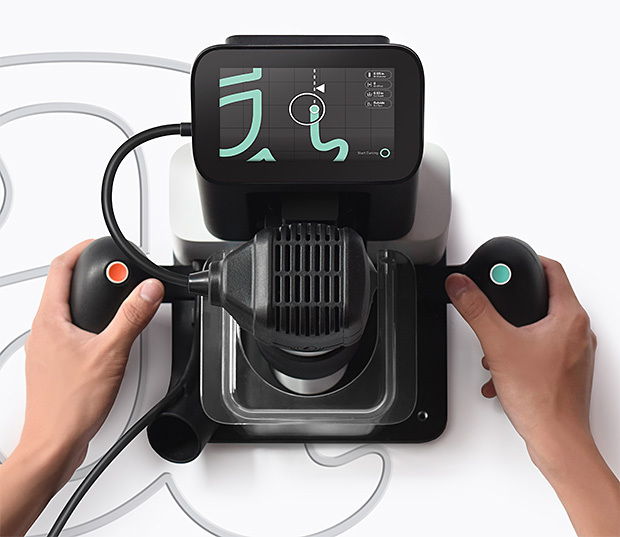 For anyone passionate about DIY work, who wants to output more sophisticated creating, the Shaper Origins is almost magical. Again, I wish I had the time and inclination to use this machine. And also the $1,499 it currently costs to order your own.